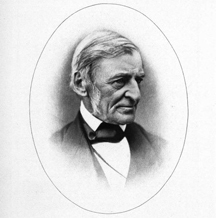 A digital edition of the Complete Works of Ralph Waldo Emerson, Centenary Edition, edited and with notes by Edward Waldo Emerson. Funding for this project was supplied by a generous Friend of the Library. Word Index: Browse through lists of all unique words in the text. Last updated on March 28, 2006.